I’ve been searching for wild in New Zealand, with its unsettling lack of charismatic megafauna and its astonishing number of people marching through the backcountry. New Zealand is such a benign country in so many ways, and benign is not a word I associate with wild. I struggled to feel the wild on my first backcountry forays here. I’m a child of the West. My vision of wild is shaped by vast swaths of high desert, the numberless peaks of the Rocky Mountains, long lines of ocean waves breaking on the shores of the Pacific coastline. It’s shaped by a healthy respect for the animals living in these places. To me, wild means solitude, that feeling of waking up to a sunrise with no one around you for miles. It means sharing space with grizzly bears, wolves, and cougars–the knowledge that there’s something bigger and potentially dangerous out there. It means the magic of seeing elusive wild animals like these and others cross my path. In search of this, I’ve asked people I’ve met if New Zealand feels wild to them. And I’ve been redefining wild for myself since. Two peak-bagging hut wardens defined wild as rugged. Any step off the trail leads them into an incredibly dramatic landscape that defies easy passage. It also leads them away from the masses, to solitary mountaintop sunrises. A group of canyoneers defined wild as unforgiving. The topography of New Zealand is most certainly that, with sheer mountain faces, glaciers, fast rivers with big drops, massive swaths of country too unforgiving for habitation. A couple of spunky 60-something Australian women defined wild as finding peace. My understanding of wild has changed in the last couple of months. I finally felt I was in a truly wild place just a few days ago, sitting alone on the shores of Crucible Lake, so deeply glacial blue that it was easy to imagine giant prehistoric creatures sleeping underneath. I watched a dwindling old glacier calve into that lake from high on the rock walls it had carved. Crucible Lake felt wild in all of these definitions. My conception of wild is also hopelessly entwined with my conception of free, likely in a nod to the legacy of the frontier dream that lingers in the children of the American West. 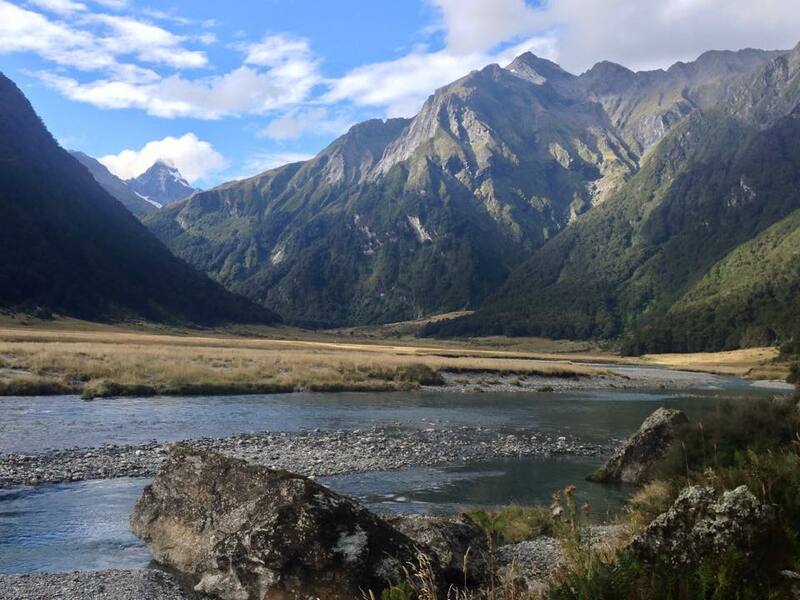 I feel nothing if not free wandering in the wilds of New Zealand. How do you find wild? Wild= dirt under my fingernails, sun on my face, bird sounds, and hunger. Wild means you, my adventurous daughter!